Construction has been completed on a $3.5 million four-leg roundabout at the Tomakin Road and George Bass Drive intersection in New South Wales. Minister for Infrastructure, Transport and Regional Development Michael McCormack said the roundabout would reduce delays and increase safety. “This new roundabout will address major safety concerns, with overall collisions expected to decrease by up to 35 per cent, injuries caused by collision by up to 75 per cent and pedestrian accidents by 40 per cent,” Mr. McCormack said. 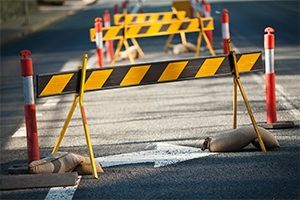 Federal Member for Gilmore Ann Sudmalis said the roundabout would provide a new connection from George Bass Drive into Tomakin village via Sunpatch Parade. “The roundabout will also go a long way in supporting expected traffic increases at Batemans Bay, Broulee, Mossy Point, Tomakin and Rosedale by improving capacity on both George Bass Drive and Tomakin Road,” Mrs. Sudmalis said. Construction was funded by the Australian Government as part of the $9 million Eurobodalla Roads Upgrade Package.